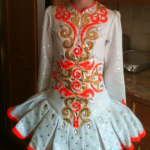 Stunning Gavin Doherty white with orange and gold applique. Worn only twice! 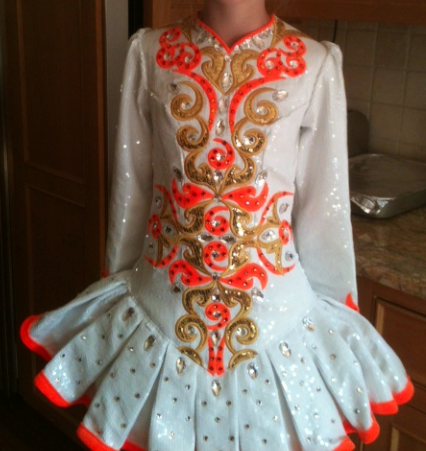 Completely sequined and covered with Swarovski crystals. Sparkling stage presence. Would suit 13-14 year old dancer. Fantastic condition, comes from smoke free home. 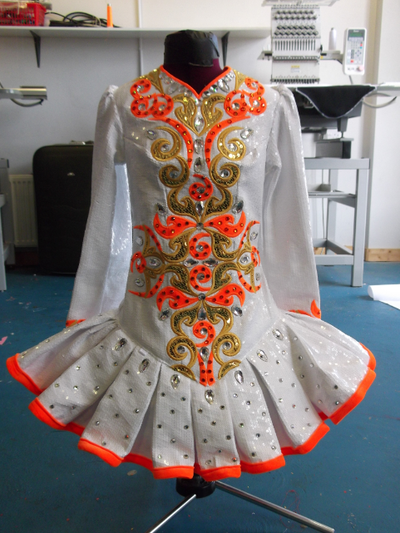 Complete with bloomers and original Eire Designs box. Asking Price: $US1,850. Shipping costs are included for my own country, overseas shipping is extra. Sale is final.